For those who watch their cholesterol intake, it may seem like high-protein foods are off-limits. While it is true that many animal sources of protein are high in cholesterol, plenty of other high-protein choices contain little to no cholesterol. When looking for protein-packed foods while limiting your cholesterol intake, forgo fatty meats and poultry, egg yolks and full-fat dairy. Instead, fill your protein requirements with plant sources of protein, like soy, nuts and legumes, and healthy fish options. Not only do soy proteins replace cholesterol-filled foods in your diet, they may also help to lower blood cholesterol levels. According to the Harvard Medical School, consuming 25 grams of soy protein, from foods like tofu, soy milk or edamame, each day may actually lower LDL cholesterol. 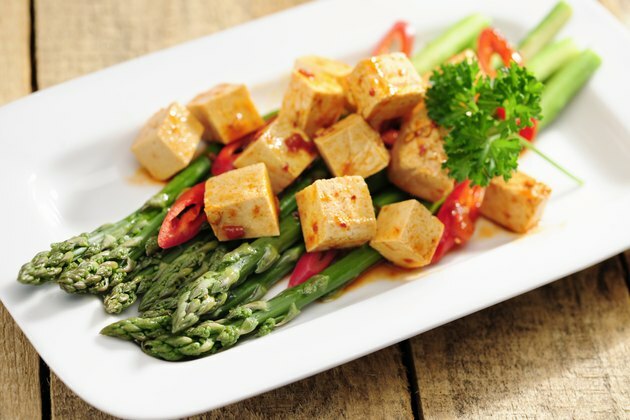 Incorporate more soy into your diet by substituting tofu for beef or chicken in stir-fry, use soy milk on cereal or in smoothies, and snack on dry roasted soy nuts or edamame. One cup of shelled edamame contains 17 grams of protein, for example. Almonds, cashews, walnuts and peanuts are all nutritious options. 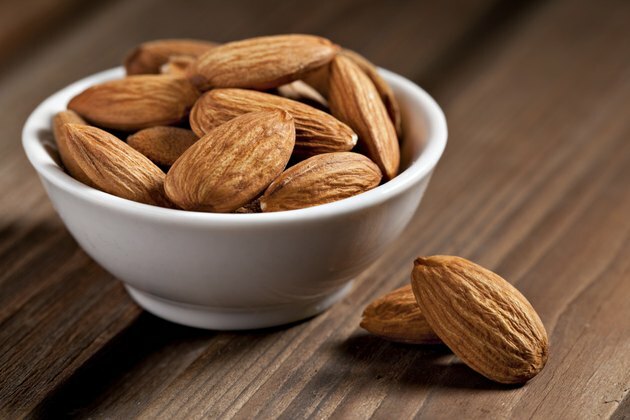 A 1-ounce serving of almonds, for example, contains 6 grams of protein. Eating 2 ounces of nuts each day, like eating soy protein, may help lower LDL cholesterol, Harvard notes. To reap the benefits of cholesterol-lowering nuts, snack on a handful of your favorite kind when hunger strikes. In addition, replace that ham sandwich with a nut butter sandwich or snack on apples or celery topped with nut butter. Beans and legumes are high in protein, low in fat and cholesterol-free. In addition, beans and legumes are an excellent source of soluble fiber, which helps to rid the body of cholesterol. Beans and legumes can be used in place of meat in many dishes. Substitute black beans for ground beef in tacos. 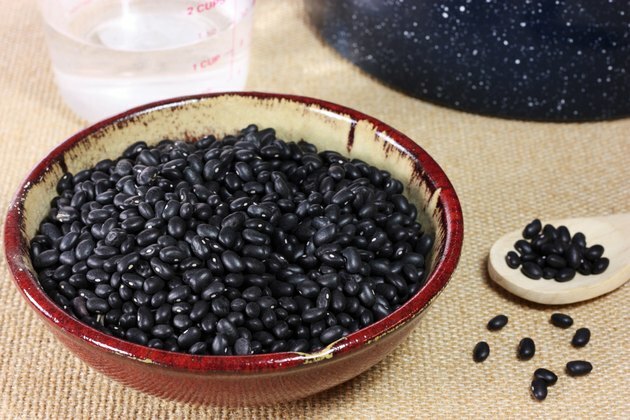 One-half cup of black beans, for example, contains 8 grams of protein and 8 grams of fiber. Use white beans in place of sausage or beef in pasta dishes. Beans can be used instead of ham or poultry in soups and stews as well. Fish is another protein-packed, low-cholesterol food to include in a heart-healthy diet. Healthy choices include fatty fish options, like salmon, trout, herring and tuna. These types of fish contain omega-3 fatty acids, which may help to lower LDL cholesterol. 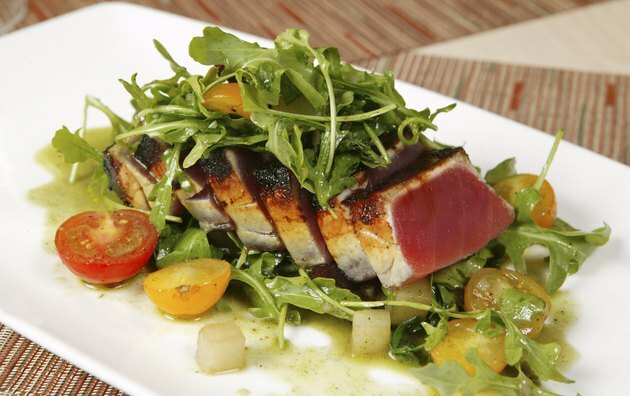 The Harvard Medical School recommends consuming fish two to three times per week. 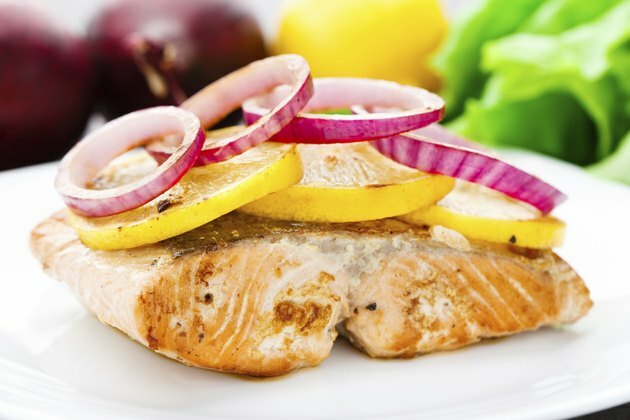 Enjoy your fish baked, broiled or grilled using low-fat and low-sodium seasonings.